All of our Lolilta Dresses are custom made, sorry we don\'t accept Return/Exchange for non-quality/size problem. Tailor time 7-15 days. If you need rush order, please contact customer service. 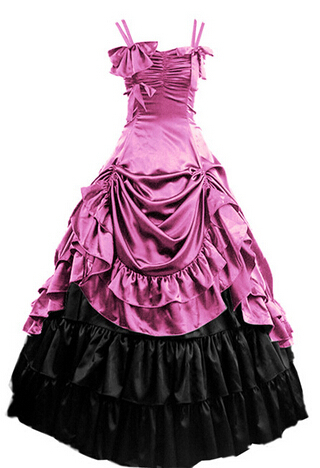 If there\'s any problem with the dress, please contact us with 48 hours, we will give you a best solution. Over time indicates that you accept the product, our shop will no longer be accepted. B,Left and right significant asymmetry. D,A set size is not complete. E,We don\'t accept such reasons for return/exchange like \'I don\'t like the color\', \'color difference\', \'not beautiful as I thought\', \'too large\', \'too small\', \'not comfortable to wear\'. Please contact our customer service before you order if you have any questions. ^_^ We wish you a happy shopping.